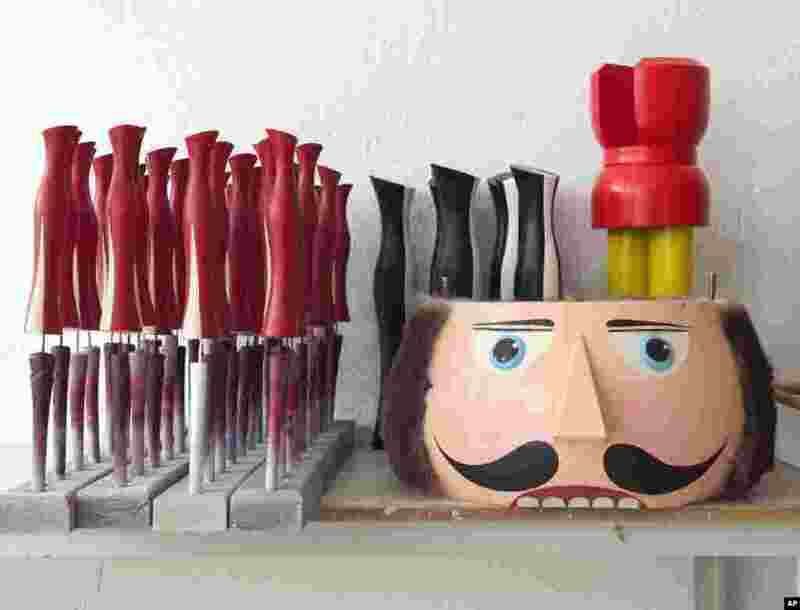 1 A part of a traditional wooden Christmas nutcracker figure and other wooden parts stand on a table in one of the factory rooms in the Erzgebirgische Holzkunst Gahlenz company in Gahlenz, southeastern Germany. The traditional wooden Christmas figures manufactured in the Erzgebirge mountain region are being sold all over the world. 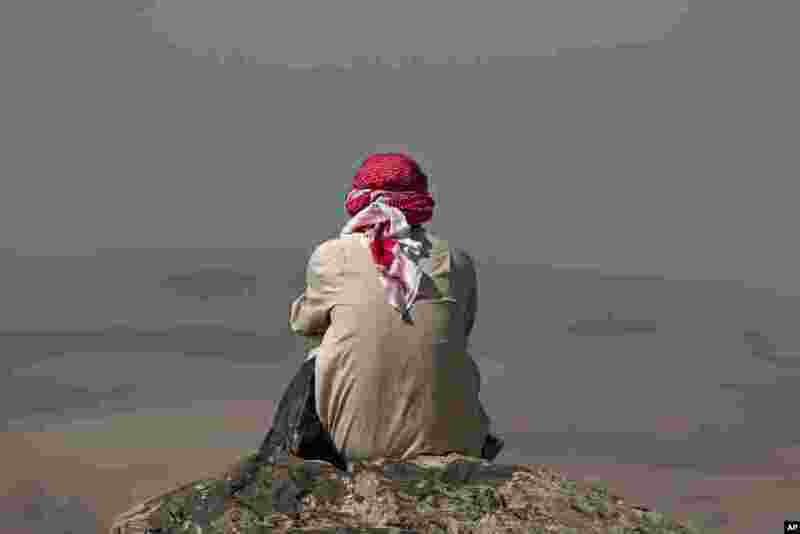 2 A man watches fighting across the border in Kobani from a hilltop on the outskirts of Suruc, near the Turkey-Syria border. 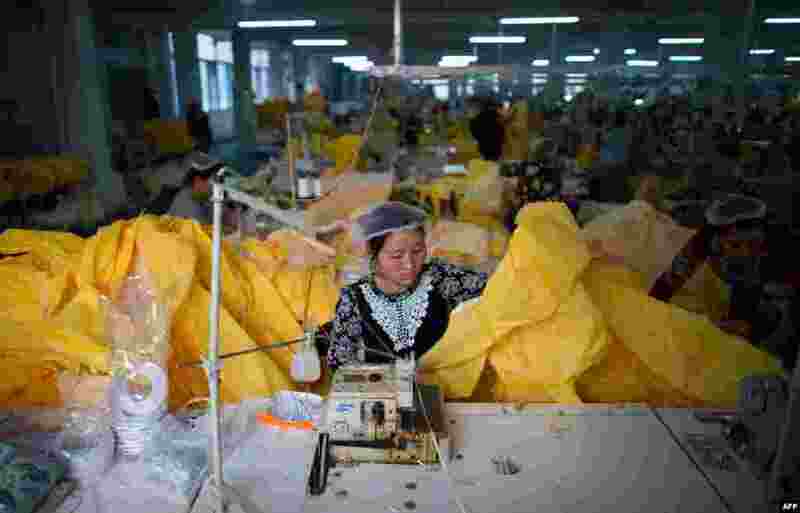 3 A women works on the CT1SL428, a protective suit for use in handling people infected with the Ebola virus, in a sewing room of Lakeland Industries Inc., in Anqiu, some 500 kilometers south of Beijing, China, Oct. 23, 2014. 4 A dog walks around a sculpture "breaching,"created by artist Michael Greve at the Sculpture by the Sea exhibition in Sydney, Australia. 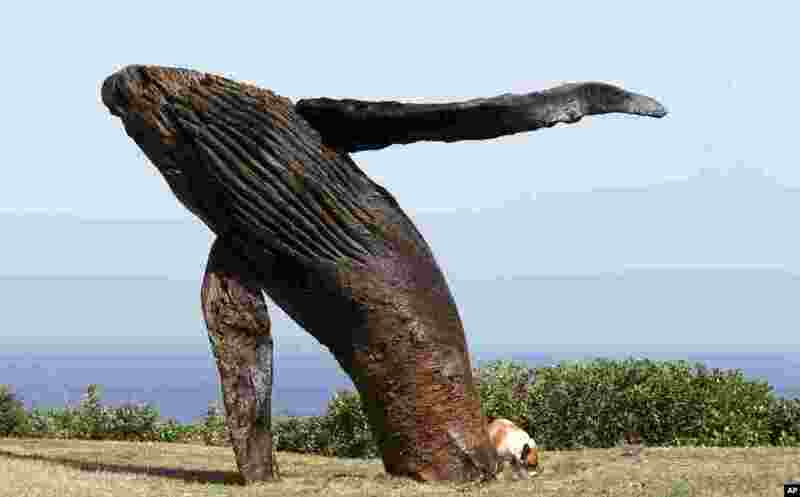 Sculptures created by 109 artists from 16 countries, are displayed across the costal area of Sydney.